*This post is sponsored by Olien Body. All thoughts and opinions are strictly my own. Thank you for supporting the brands and companies that make KFC Loves You possible! I'm excited to share today's post because I love finding products that help my skin stay smooth, but without irritating it. 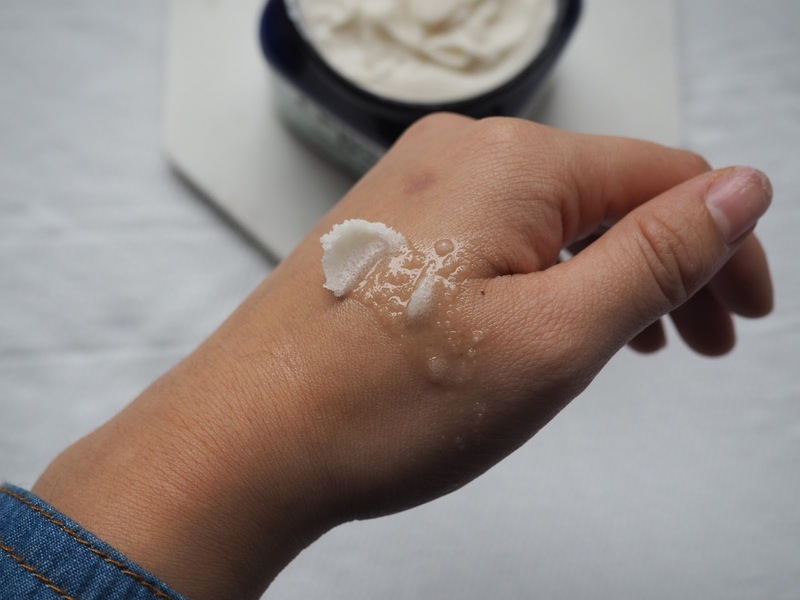 I have very sensitive skin and there have been many instances where I will use a product and it breaks my skin out in a rash or little red bumps, or it makes my already occurring eczema even worse. 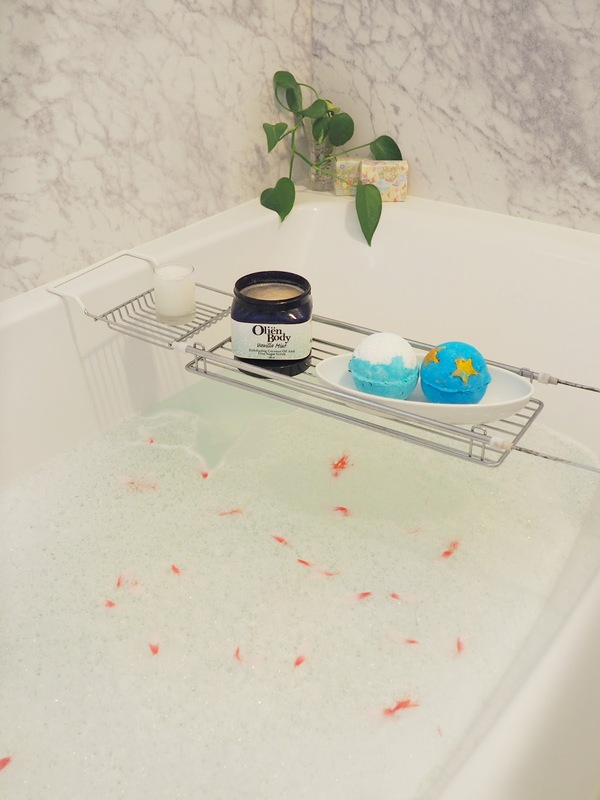 I find body scrubs are one of the hardest things to find that works with my skin with the exact formula that I personally like, especially since many of them leave a thick greasy feeling with the oils they use or burns my skin with the fragrances. 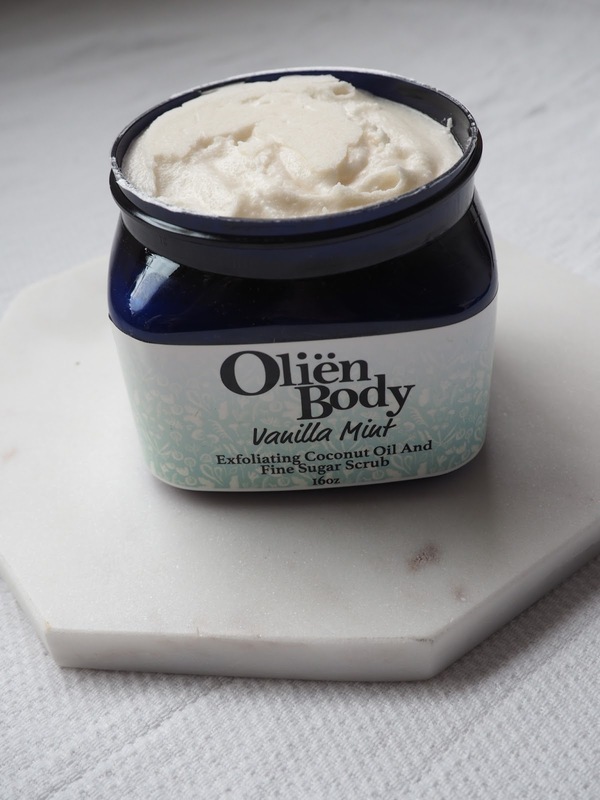 With Oliën Body being a premium sugar scrub that features natural virigin coconut oil, sugar, and essential oils, I knew I had to give it a try since the short list of ingredients to me meant better quality for my skin! And indeed, when I tried this scrub out for the first time, no negative skin reaction and my body was left silky smooth! I thought the Vanilla Mint scent might make my skin a little irritated, but it didn't bother it a bit and made my whole bathroom smell like a spa. The texture of the product is smooth from the coconut oil but it had the right amount of grit from the fine sugar to really exfoliate away the dead skin. Since it is made out of sugar and I was curious, yes I did taste it, and it tasted really good but I don't recommend eating it, ha ha. With that said since it is coconut oil based, it instantly melts as you rub in into your skin. 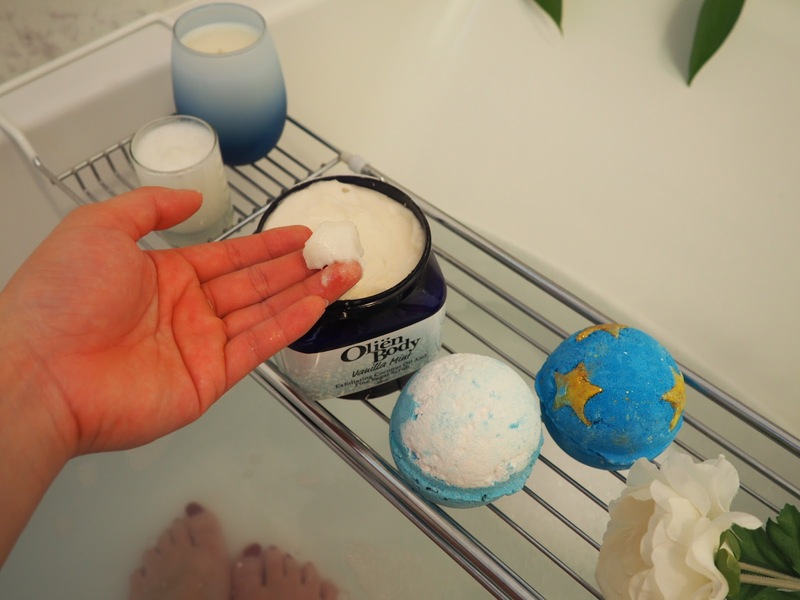 Also, if you leave it in a warm place (your shower for instance), it will melt inside the jar but will solidify again in a cooler area, so just keep that in mind. I tried this product on both wet and dry skin and my preferred method of application is dry! It really gets the dead skin off and it doesn't melt as fast compared to when your legs are extra warm from the water. When your skin is dry, you can feel the sugar scrub in action as it exfolitates your skin. 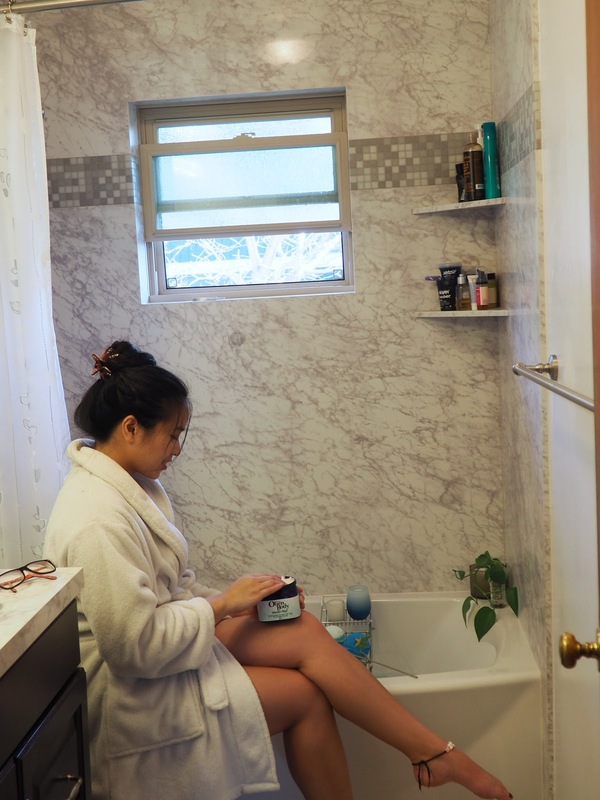 It's gentle enough to use daily and I've been using it every other time I'm in the shower, especially to prep my skin for my upcoming trip to sunny San Diego! You can also use this to shave with. I've only tried it once with the product, and it's not my favorite product to use for shaving, but it gets the job done. I'm excited to continue using this product as I have found that my skin, especially on my legs, has been a lot smoother and evenly textured. I find myself having to use less lotion after I use the scrub as the coconut oil leaves my skin feeling hydrated, but not greasy. 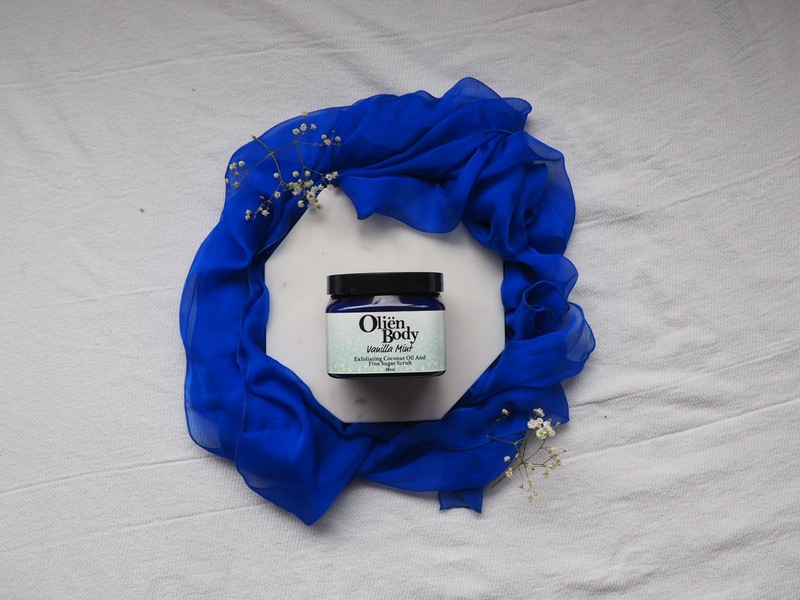 The Oliën Body scrubs come in a variety of scents and are currently on sale! If you have sensitive skin and you're looking for a good body scrub (or even if you don't have sensitive skin and you want a good body scrub! 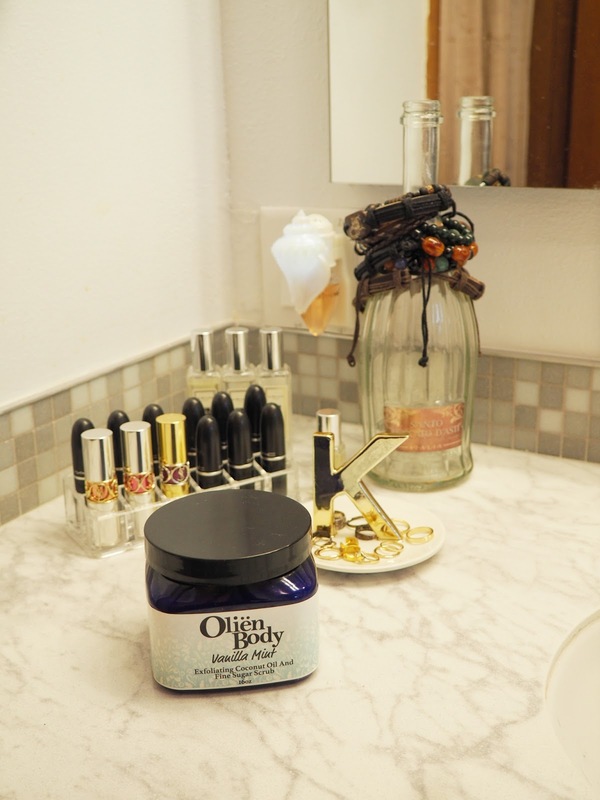 ), give Oliën Body a try.